Earn $4.89 in Rewards credit. Click to learn more. 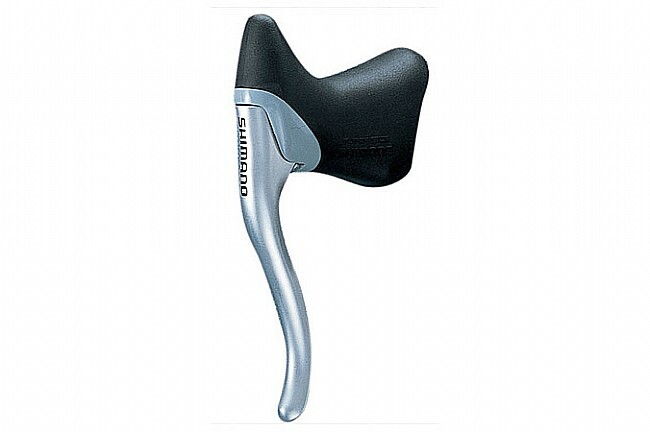 The Shimano BL-R400 Brake Levers are lightweight, ergonomic brake levers designed for drop bar handlebars. Part of the Sora 3500 Series, these affordable brake levers offer a comfortable riding position that guarantees smooth, reliable braking thanks to its return spring. An anodized aluminum brake lever lends a classic look that stays looking good all season long, and for many seasons to come. Caliper brake lever for drop handlebars, offering comfortable riding position and ergonomic grip. Return spring for assured braking control and response. Compatible with all Dual-Pivot brakes.